What Is Matched Betting? | The Profitable Betting Tactic Explained! In the sea of betting strategies, it can be challenging to fully understand and implement the most suitable one, which is why many people still pose the question about one very interesting technique – what is matched betting and how does it work? Well, matched betting allows punters to achieve a profit from a bet while at the same time negating a loss with a counter bet. The technique has been used for decades as a viable and sustainable way of generating profits from betting. However, there are still bettors who aren’t familiar with this practice and don’t know how to match bet, as it sounds a bit complicated, which is why we’ve taken it upon ourselves to explain it and give you a step-by-step guide to matched betting. Matched betting is a technique that lets punters profit from free-bet promotions. It involves creating two bets with opposing results and identical or similar odds. The primary bet is called a ‘back bet’, while the negating bet is called a ‘lay bet’ or a ‘counter bet’. Matched betting is risk-free, as it involves leveraging a punter’s own funds with free bets. Matched bets have a high stake return: 85% for the wins and 70% for the lost bets. Punters who like matched betting usually create multiple accounts on multiple websites so they can profit from as many free-bet promos and reloads as possible. The practice can be repeated indefinitely, as there are lots of ‘reload’ promos that offer new free bets. The best way to create a perfect ‘lay bet’ is by using a betting exchange because of smaller commissions and greater freedom for setting up odds. A betting calculator is also handy. Matched betting in the UK is completely legal. Some bookmakers encourage matched betting by introducing their own betting exchanges. If a punter uses an account exclusively for matched betting, the website may ban the account – and, potentially, the gambler’s other accounts – from further promos. ‘Gubbing’ is the practice of banning a punter from a website. There are no best matched betting offers. Each punter has the opportunity to create their own perfect matched bet. The process entails placing two bets with different outcomes in order to negate losses. Bettors usually employ the services of top betting sites for back bets and betting exchanges for lay bets. This may not seem like a rational way of betting, as you won’t win or lose anything – and you’ll also pay for a commission on each bet – but if we put free bets into the equation, match betting becomes more reasonable. Matched betting is not profitable unless a punter aims to qualify for a free-bet promotion. The whole point of the technique is to receive ‘free money’ for betting, while at the same time covering losses made by the qualifying bets. Punters usually choose betting exchanges for placing a lay bet because they offer more leeway in terms of odds. For example, a betting exchange may take a small commission from your winnings, but it lets you back any odd bet you can think of. This doesn’t mean you can’t use a bookie for a counter bet, it’s just that it’s easier to use a betting exchange. Once the result is in, no matter what it is, punters still have free bets to spend. More often than not, bookmakers give away a certain amount in free bets to the customers who make qualifying bets first. With matched betting, a punter who wishes to receive free bets will place a qualifying wager. At the same time, they’ll place a ‘lay’ bet at the betting exchange – in the same amount and at the same odds. Whatever the result is, the punter will not lose any money. The bets negate each other, which seems like no net change, but the bettor also qualifies for more free bets from the bookmaker. Let’s imagine a bookie is issuing £20 in free bets for a qualifying bet of £5. Once a punter places a qualifying bet at the website, he places another £5 bet, this time on a betting exchange. Note: It’s important to use the betting exchange as they let you make your own bet and tweak the odds in your favour. To illustrate one matched betting example, let’s say we want to put a bet on West Ham losing against Huddersfield. We can immediately see that the odds are 7.0. With matched betting, we put another bet – a counter bet – on West Ham winning against Huddersfield with odds being 7.2. As you can see, the odds are very close. Ideally, we would find bets with identical odds so we could make a more precise calculation when placing a stake on the lay bet. However, betting exchanges are the only places where you can easily find events with similar odds on different outcomes. It is highly unlikely that betting websites will ever have similar odds for the same event. What Is Matched Betting on Free Bets? The process we described earlier would yield no results, as the punter wouldn’t suffer any losses but also wouldn’t make money from matched betting. However, if we factor in free bets, the situation changes. Since the punter has already made a qualifying bet, the bookie grants free bets. The process is repeated, but this time, the back bet (the initial bet) is composed of free bets, while the lay bet is made with the bettor’s real money – meaning that profits are practically guaranteed. Since bookies are aware of matched betting, they tend to offer only one free-bet promo per user account. Punters can continue by signing up with multiple bookmaking operators to use a maximum number of free bets. Although common sense dictates that there’s a limited number of bookies and free bets, most bookies create reload bonuses that let users gain additional free bets. A savvy bettor can use these promos indefinitely, although it requires a lot of planning. Is There Really Such Thing as No Risk Matched Betting? Matched betting is a great strategy for using bonuses to your advantage, but only if the lay bet stake is calculated correctly. For example, if a punter places £20 on a certain outcome under the odds of 3.0, that means the winnings will be £60. When making a counter bet, a commission has to be taken into account, and the punter must have £60 invested into the betting exchange to cover the bet if it fails. 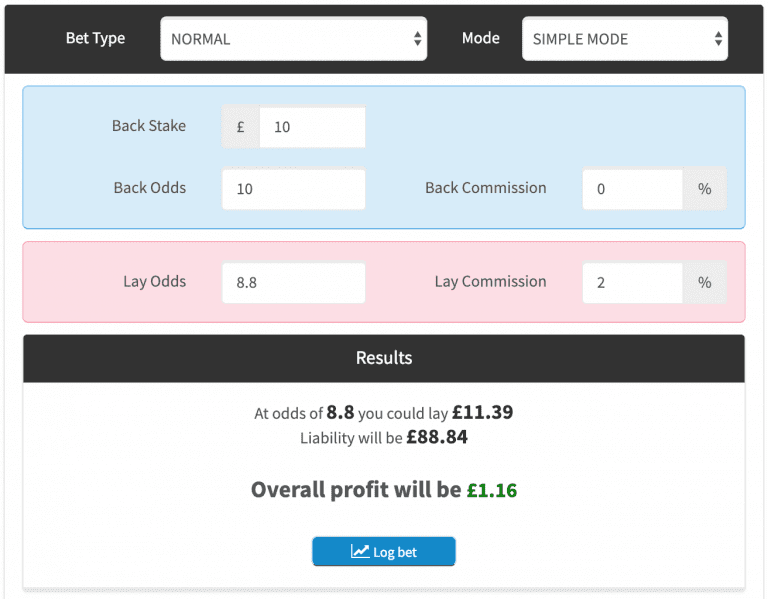 Is Matched Betting Worth It? Every matched betting guide on the Internet will assure their readers that matched betting is worth the hassle, which is true – if you can follow multiple accounts on dozens of sportsbooks at the same time. That’s another reason why using a matched betting calculator is a good idea. Successfully matched betting requires the use of as many free-bet promos as possible, so it’s crucial to be organised when creating accounts and match bet. Experts recommend calculators and spreadsheets, which are great tools for keeping track of all the bets. Matched betting works only if there are free bets involved. The whole point is that you want to place a wager with free funds, while at the same time having a leverage amount on a betting exchange website. Whichever bet wins, you are left with more than you invested. Matchedbetting is completely legal. It entails creating two accounts at two or more different sportsbooks, which is a common practice. Many betting operators even set up exchanges, knowing they will be used by matched-bet customers who will use them for free bets. Sportsbook operators are perfectly aware of matched betting and how punters use them to take advantage of free bets. Operators can’t prevent you from placing a matched bet, but they can block you from receiving more promos. This is what is known as ‘gubbing’ and it happens when an operator has reasons to suspect that a particular punter is a member only for the sake of promos. Hopefully, this betting guide answers the question ‘what is matched betting’ with enough clarity for you to understand both why and how you might try it. The technique has been used by punters for decades and it is a perfect way to use the free bet system to your own advantage. Moreover, the technique is completely legal, and there are no serious repercussions if you are found doing it. What’s best is to create a viable strategy and do correct calculations before starting, because it is easy to get lost, especially when you get involved with multiple bets on multiple accounts.